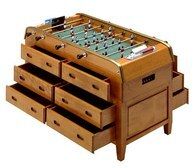 The B60 specialty is an upgraded version of the B60 standard edition foosball table. The upgrades to the specialty version feature a 6mm glass top over the table that protects the table from drink spills and keeps it clean and maintained for longer. 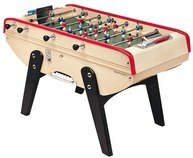 Also included is an anti-theft system for the foosball balls.This model still offers the coin-operated feature that is made for commercial use to collect money on foosball games. 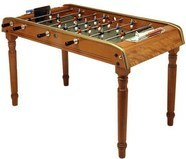 It is also a unique table if you are looking for a sturdy European style of foosball. 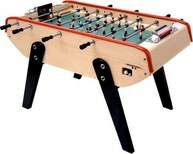 European foosball features a finesse game that is reliant on ball control and pin shots instead of the power of American style foosball. 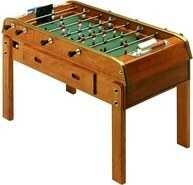 The B60 specialty features high-grade and hand polished aluminum foosball rods, goals, and men. 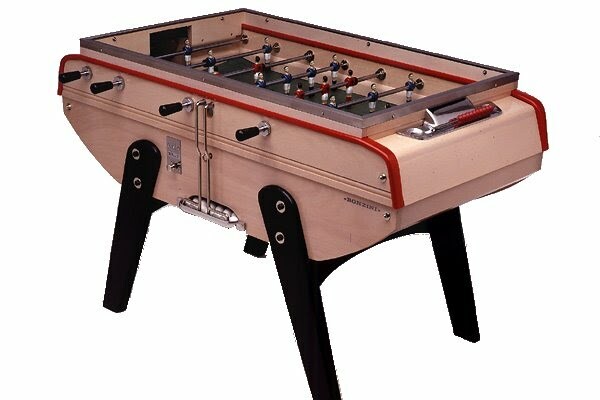 This table comes with your choice of cork or plastic foosball balls, but we recommend the cork version as these are tackier and allow you to be more effective with pin shots.